This website and all the information contained in it and subsidiary web-sites, including without limitation all text, data, graphs, charts (collectively, the “Information”) is the property of Corporate Knights Inc. known herein as “Corporate Knights” and is provided for informational purposes only. The Information may not be modified, reverse-engineered, reproduced or redisseminated in whole or in part without prior written permission from Corporate Knights. The Information may not be used to create indexes, databases, risk models, analytics, software, or in connection with the issuing, offering, sponsoring, managing or marketing of any securities, portfolios, financial products or other investment vehicles utilizing or based on, linked to, tracking or otherwise derived from the Information or any other Corporate Knights data, information, products or services. The user of the Information assumes the entire risk of any use it may make or permit to be made of the Information. CORPORATE KNIGHTS DOES NOT MAKE ANY EXPRESS OR IMPLIED WARRANTIES OR REPRESENTATIONS WITH RESPECT TO THE INFORMATION (OR THE RESULTS TO BE OBTAINED BY THE USE THEREOF). Constituents of Corporate Knights equity indexes or stock lists are listed companies, which are included in or excluded from the indexes or lists according to the application of the relevant methodologies. Accordingly, constituents in Corporate Knights equity indexes or lists may include Corporate Knights, clients of Corporate Knights or suppliers to Corporate Knights. Inclusion of a security within a Corporate Knights index or list is not a recommendation by Corporate Knights to buy, sell, or hold such security, nor is it considered to be investment advice. Corporate Knights receives compensation in connection with licensing its indexes to third parties. 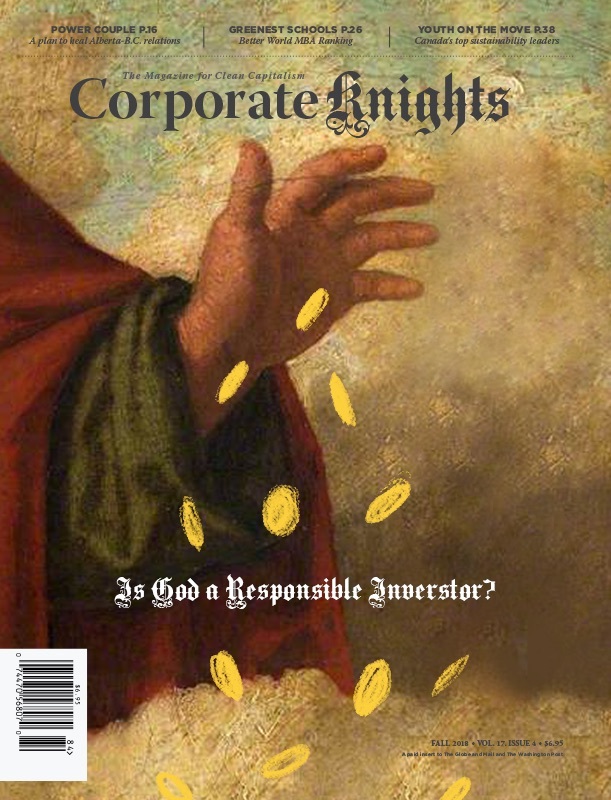 Corporate Knights Inc.’s revenue includes fees based on assets in Index Linked Investments. Any use of or access to products, services or information of Corporate Knights requires a license from Corporate Knights. Corporate Knights brands and product names are the trademarks, service marks, or registered trademarks of Corporate Knights and its subsidiaries in Canada, United States and other jurisdictions.